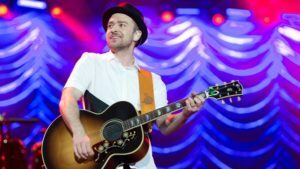 Justin Timberlake Now this guy has to be one of Hollywood’s favorite comebacks of all times, which not only happened once, but multiple times! Starting his career off at an early age on Disney’s The Mickey Mouse Club, we later fell in love with him all over again as the lead singer of boy band, N’Sync. Justin has since gone solo and has blown us away with his incredible talent, both as a singer and an actor. There’s nothing he can’t do!